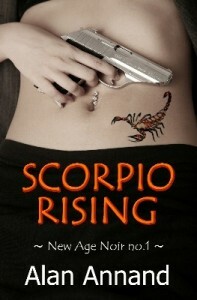 A couple of years ago I wrote SCORPIO RISING, the first book in my New Age Noir mystery series. In Scorpio Rising, criminal profiler Axel Crowe investigates the killing of a New York heiress, and discovers her death is linked to two other murders on the same day: a dot-com millionaire in San Francisco, and the team leader of a counter-terrorist project in Los Alamos, New Mexico. Reviewers have said that, no matter whether you’re an astrological neophyte or a professional, there’s something here for everyone to learn or be inspired. See the review highlights here. Axel Crowe whistled a lively blues tune as he approached an apartment building in the Parkdale neighborhood. Lately he’d learned to play Little Girl from one of the early John Mayall albums on which Eric ‘Slowhand’ Clapton had established himself as a guitar god. Now the tune was stuck in his mind day and night. Crowe entered the lobby and pressed a button on a mailbox. The door buzzed open and he walked inside. He took the elevator to the seventh floor and arrived at a door with a brass OM symbol mounted above the peephole. He knocked lightly, opened the door and entered. He slipped his shoes off and walked into the living room. The place was an incredible clutter. A take-out pizza carton lay on the coffee table. Newspapers littered the floor; stacks of books covered two-thirds of a sofa. Small brass statues of the elephant-headed god Ganesha, Remover of Obstacles, and other Hindu deities stood atop the TV, on window ledges and bookcase shelves. Across the mantel of a fake fireplace, monkey god Hanuman and other deities competed for space, reminiscent of battle scenes from the epic Ramayana. Guruji sat in a reclining chair watching the news on TV. He was East Indian, Bengali to be exact, seventy years old but looking ten years younger. His head was shaven and he wore a kurta, a long check-patterned shirt that came to his knees. Crowe bent and touched both hands to Guruji’s bare feet, then touched the top of his own head. “No, thanks. I ate earlier.” Crowe pushed some books aside to make room on the sofa. Crowe looked at the floor. There was no right answer to these rhetorical questions. Guruji had the uncanny ability to discern virtually anything about anyone. What color underwear were you wearing? What did you dream of last night? How much money in your wallet? These were parlor tricks Crowe had seen Guruji perform so many times that he’d long ago ceased to be astonished. You could hide no secrets from Guruji. If you’d spent a couple of hours with a woman, you might as well have tattooed all the details right there on your forehead for him to read. Crowe looked at the floor. Guruji had told him many times that he was an infomaniac, obsessively collecting concepts and techniques. Crowe acknowledged this truth but at the same time excused it because he was fascinated by the rich spectrum of Vedic thought. But Guruji had said it was all too easy to mistake information for knowledge, that long periods of reflection were necessary to let the big mind catch up to the little mind. Crowe stared at the floor. He’d always known this day would come but he hadn’t known it would come this soon. Perhaps that’s just the way it was, you were never quite as ready as you thought you ought to be. It was all part of the endless ebb and flow, the cycle of seeking, getting and letting go. But to be reborn, you first had to die… Crowe cleared the corner of his eyes with a finger. Guruji laid his hand on Crowe’s head. Crowe sat motionless at Guruji’s feet. 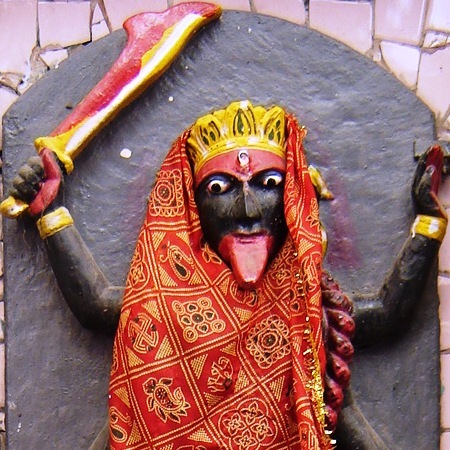 Hanuman looked down from the mantelpiece with a magnificent scowl. Even the gods agreed, it was time for him to move on. If you’ve already read Scorpio Rising and enjoyed it, please consider writing a review on Goodreads or the vendor site where you bought it. And now you can purchase #2 in the series, Felonious Monk, at any of the following vendors: Amazon, Apple, Barnes&Noble, Flipkart or Smashwords.